After seeing the devastation caused by typhoon Yolanda in Tacloban, two friends who are based in Canada decided to help out with the relief effort. Chris deKoning and Jessie Cortes raised $3,000 in just three weeks, flew to the Philippines on Valentine's Day (February 14), and headed to the Visayan city. They named their project Love Tacloban. They describe it as a "direct impact, street art and humanitarian project". It will "aid in dealing with the emotional loss and material devastation, to the lives of those effected by typhoon Yolanda", they added. With the money they raised, they bought mosquito nets, school supplies, art supplies, and basketballs which they brought to the typhoon-ravaged city. 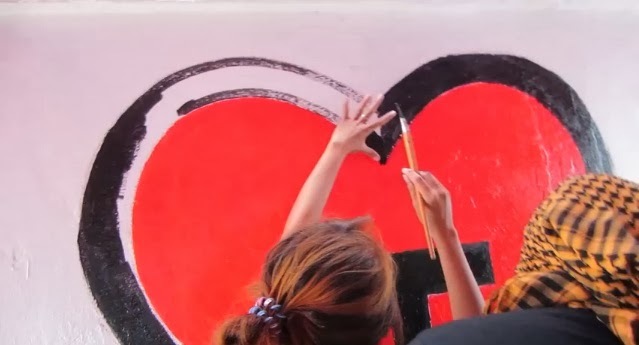 Showing support and relief to the youth of Yolanda through street art. 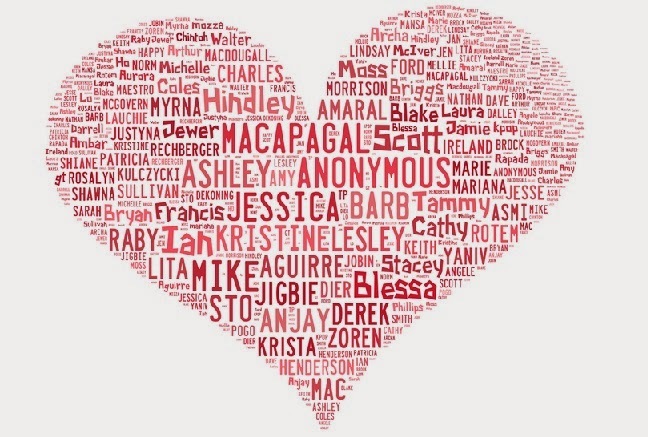 The names of the donors and supporters in the form of a heart. Read more about the Love Tacloban project at their official website. The details on how they spent the $3,000 and the number of people they helped can be found here.